Posted December 14, 2013 by Dr. Marian Fritzemeier, Ed.D. Here’s another parenting tip to help reduce negative peer pressure with your school age children. Get to know the parents of your children’s friends and adults in your neighborhood. Most children attend elementary schools in the neighborhoods where they live; therefore, many of your children’s friends will live close by. Who are the people in your neighborhood? In an age of automatic garage door openers where neighbors can come and go without interacting with others, how can you get to know your neighbors? One way is to begin a Neighborhood Watch program with the help of your local police or sheriff department. Neighborhood Watch is built on the concept that knowing your neighbors helps reduce crime. Crime reduction appeals to many people living right near you. National Night Out (NNO) is celebrated the first Tuesday in August. Communities across the United States are encouraged to plan an evening to get to know their neighbors. In Modesto, California, a city in Central California, finds that NNO grows in popularity every year. In many communities like ours, National Night Out is sponsored by the city’s police department. Block parties and other neighborhood events we’ve organized, such as holiday caroling and 4th of July dessert followed by fireworks facilitate building relationships with others and making community connections. These adults are potential role models for your children. Teenagers are possible baby-sitters. One elderly couple on our street serves as honorary grandparents to countless school age children. Seek other parents who have similar family guidelines. Try talking about common ground rules, like a parent needs to be home when friends are visiting. You may encounter more families with similar values than you expect. We did. We discovered like-minded adults in every neighbored who became significant others in our daughters’ lives. Getting to know neighbors is a terrific strategy for helping your children reduce negative peer pressure. 1. McGruff, The Crime Dog. www.mcgruff.org. Accessed 12/10/2013. Posted December 11, 2013 by Dr. Marian Fritzemeier, Ed.D. As a college child development professor my students wrote their own code of ethics. What ethics and moral values do you live by? What character traits do you desire for your children to emulate? Your children are already learning your values and ethics by observing what you say and what you do. Do they match? Then consider what you consciously want them to learn. When our girls were little we began reading stories based on character traits, such as honesty, courage, and responsibility. Learning about values continues through elementary school, especially as children study historical figures. 1. Adolescent Rebellion Can be Quelled, www.kidsgrowth.com/resources/articledetail. Accessed 10/14/201. 2. New American Standard Bible, Proverbs 20:21. Posted November 15, 2013 by Dr. Marian Fritzemeier, Ed.D. Answer each question with rarely or never; sometimes; or usually. I’m looking for 5 more questions to add to the “quiz.” If you have a question or two to add, please post a comment. Thanks. Do you wake up your child to get ready for school? Do you continually remind your child it’s time to get up? Do you keep repeating, “We leave for _____ (school, practice, or church) in ____ minutes.”? If your child is late, do you change your schedule to accommodate your child’s tardiness? Do you take responsibility for your child’s things, like packing her sports bag for practice or his backpack? Do you complete or adjust your child’s homework and/or project until it meets your standards? If your child forgets her homework, music instrument, and/or project do you take it to school for her? Do you allow your child to stay home “sick” because he has a project due that isn’t done or a test she didn’t study for? Do you regularly call or email your child’s teacher over grades or assignments? Do you make excuses for your child’s misbehavior, such as, “The referee made a bad call.”? Do you run onto the sports field immediately if your child’s hurt? Do you rush in to settle your child’s disputes to ensure it is settled fairly? When your child fails at something, do you reward him for trying? Do you wait on your child by getting her snack or something to drink? Do you prepare different food because your child doesn’t like what the family is eating? Do you expect your child not to do chores since school is his “work”? Do you manage your child’s schedule? Do you call or text your child many times a day to check in? Is your child or teen your best friend? Do you manage your child’s money? Allowance? Posted November 12, 2013 by Dr. Marian Fritzemeier, Ed.D. A generation ago, I didn’t teach parents of school-age children how to instruct their children about peer pressure. But times have changed. 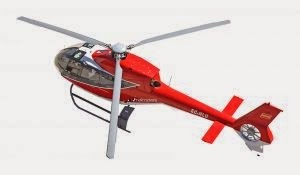 What are Helicopter Parents? Jennifer O’Donnell, About.com Guide. Accessed 10/8/2013. Peer Pressure: Why it seems worse than ever and how to help kids resist it, Malia Jacobson, August 29, 2013. “Helicopter parents” stir up anxiety, depression. Indiana University, IU Newsroom, newsinfo.iu.edu. Accessed 10/8/2013. Posted September 19, 2013 by Dr. Marian Fritzemeier, Ed.D. I’ve discovered a new opportunity for writing. It is called HARO, Help A Reporter Out. HARO is a network of writers who are seeking experts on topics they’re writing about. I’m responding as a child development expert to some of their requests. This is the first article I’m quoted in. Signs Your Child Is or Isn’t Ready for Preschool. Here’s a link to the article. Posted August 19, 2013 by Dr. Marian Fritzemeier, Ed.D. On October 5th, 2013 I’m going to do something I’ve never done before. For several months I’ve been exercising twice a week and doing some bike riding. My husband and I ride on some bike paths, but mostly I ride in our neighborhood by myself. Well, almost by myself. Dancing in Circles. I wear a front pack that carries my ferocious Chihuahua, Grace. Despite the fact that she barks all the time at home, she’s the perfect bike passenger. She dances in circles when I ask, “Do you want to go on a bike ride?” and rarely makes a peep on the ride. I always feel safe when she rides with me. Half-Way There. Today I’m proud of myself because I met my half way goal for my new adventure. I’ll be riding a 20 mile bicycle “Fun Ride” at Clear Lake. I rode ten miles today. We’re not discussing time here, just the distance. I Paid for That? I’ve never done anything like this before. For those of you who know me, I’m not very coordinated and not even a teeny bit athletic. But I like riding my bike. I love to see God’s beauty and listen to the birds as I pedal along. I needed some kind of goal. The Ride. I checked bike club rides but most are over 25 miles, so I had to start somewhere. I found this ride in a bike riding booklet. I even bought a pair of bike shorts. I never paid so much money for something so ugly. Oh, except for my hiking vest and pants when I started bird watching and hiking. I’m not sure which are the ugliest. What About You? So I’m doing something totally out of my comfort zone. What about you? or your children? Have your children or teens been talking about something they want to do…someday? Is there something you’ve thought about trying but decided not to? Schools started this week in Modesto. A new school year is the perfect time to choose to do something new. I’d like to hear your stories of your new adventures. I’ll keep you posted on mine. Posted August 8, 2013 by Dr. Marian Fritzemeier, Ed.D. Ahhhh, summer vacation. Swimming, camping, amusement parks, and later bed times for children. But school is just around the corner. How can parents help get their children’s sleep back on schedule so they’re not tired when school starts and the alarm goes off way earlier than in the summer? Do the Math. About two weeks before school starts, calculate how much earlier your children need to get up for school. For example, is your child is sleeping in until 9:00 AM and will have to get up at 7:00 AM for school, that’s two hours. Figure out roughly how much earlier they need to get up each day so that they’re ready for the school alarm clock. If they got up just ten minutes earlier every day, they’d be on track for the earlier wake-up time. How Much Sleep? While you’re figuring out their wake-up times, just how much sleep does your child need? The American Academy of Sleep Medicine (2012) recommends that school age children (kindergarteners to 8th graders) need 9 to 10 hours of sleep. Ninth and 10th graders need 9.25 hours while 11th and 12th graders need 8.5 hours. More Sleep? Your child needs more sleep if he/she has challenges getting up in the morning. Obviously, if your child falls asleep during school, he/she needs more sleep. Another reason your child may need more sleep if they are overly active and/or acting out. Routines Help. Make bedtime consistent, relaxing routine. For younger children, a bath and story time are positive ways to end the day. If your children are sensitive to caffeine and/or sugar, eliminate these in the evenings. Don’t forget, chocolate contains caffeine. Electronics & Sleep. Keep electronics out of the bedroom two hours before bedtime. Even the light from televisions or electronic devices can suppress the production of melatonin, a hormone that helps aides sleep. Following these suggestions and a healthy breakfast will help your child be ready to learn when he/she returns to school this fall. Posted June 26, 2013 by Dr. Marian Fritzemeier, Ed.D. When I taught Child Development in a Learning Community with an English teacher, all the reading was based on child development content. The fiction book we selected was My Sister’s Keeper. The story begins with a couple’s decision to genetically engineer a baby to become a bone marrow match for the two-year-old sister Kate’s leukemia. Although the book actually covers two weeks, with flashbacks, the reader gains a fuller picture of the three siblings’ child and adolescent years. Author Jodi Picoult is known for taking real life controversial issues and presenting multiple views from various characters. How far would you go to save your child’s life? Picoult weaves the view of the father, mother, oldest brother, sister Anna, sister Kate, Cambell (Anna’s pro bono attorney), and Julia (Anna’s guardian ad item) in this emotionally riveting book. Since Anna’s arrival as a “designer baby,” she’s had countless medical procedures to save her sister’s life. At thirteen, when Anna’s parents plan for her kidney donation, Anna makes a decision to sue her parents for the rights to her own body. If you’ve seen the movie released in June 2009 and haven’t read the book, be prepared. The movie doesn’t entirely follow the book. The 423 page book is far more emotionally gripping. The author takes readers on a distressing roller coaster ride. As with all good roller coaster rides, there’s an unexpected twist at the end. This book is a tear jerker but gives such a concise picture of the struggles each family member deals with when a child is seriously ill. This book raises questions about medical ethics, family conflict, and the power of love. The book includes a Q & A section with the author and questions for discussion. When you read the book, you’ll want to discuss it with someone. 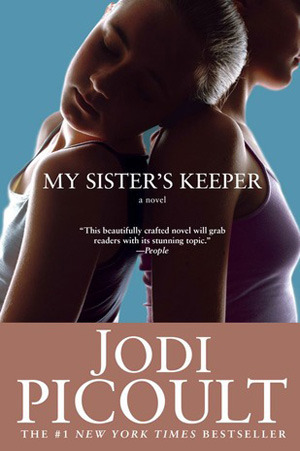 Book Information: My Sister’s Keeper, Jodi Picoult, Washington Square Press, 2004. This book is available through Amazon.com. Paperback $12.67; Kindle $10.38; Hardcover $19.48; Audio CD $25.64. Posted June 14, 2013 by Dr. Marian Fritzemeier, Ed.D. As I research for my book series, From Diapers to Diamonds: Raising Responsible Adults, I discover a book that raises many of the issues I’m answering in this parenting series. Slouching Toward Adulthood: Observations from the Not-So-Empty Nest written by Sally Koslow documents why a generation of carefully nurtured young adults is delaying adulthood. Though she offers no solutions except during a brief last chapter, she simply reports what she discovered from research and interviewing parents and what she calls “adultescents” during 2010 and 2011. This thirteen chapter book provides a picture of college graduates returning home and living with their parents another decade or so. In the first chapter, A Public Display of Reflection, she explains how she learned that “twenty-eight is the new nineteen,” and included a new decade, the “odyssey, the decade of wandering that frequently occurs between adolescence and adulthood,” (p. 11) and she panicked. This information triggered the impetus for her book. I found this book so engaging. It’s flagged with countless post it notes and comments written throughout the book. 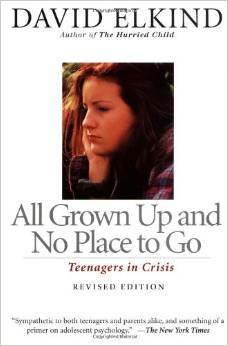 She examines young adults’ relationships to work or not to work, money, and their social lives. In chapter three: Choose Your Own Adventure, she addresses the challenges with decision making. “Forget Plan B. There isn’t a Plan A,” (p. 24). Slouching Toward Adulthood: Observations from the Not-So-Empty Nest, Sally Koslow, Viking Penguin Group, 2012. Available at Penguin.com. Hardcover $25.95; paperback $16.00; eBook $9.99. Paperback, 2013 with a new introduction. Posted May 27, 2013 by Dr. Marian Fritzemeier, Ed.D. Do you recognize these pleas for spending your money? In thinking about what money skills young people will need to live independently, the school age years are ideal for teaching about money management. At an early age, children learn that things they want cost money. They know what dollar bills in a birthday card are for. In elementary school, usually during second grade, children learn the different types of money and how to make change. Some children spend their money immediately, while others save it for something they really want. To encourage money management, saving, and giving, we gave each child three baby food jars marked with the words Share, Save, and Spend. Our daughters received a small allowance every Friday that they could spend on whatever they wanted after they put a dime for each dollar in the save jar, and a dime for each dollar in the share jar. As church attendees we wanted our daughters to learn about sharing with others. Sometimes they gave their “Share” money during a Sunday school class or to a special project, like the Angel Tree project for Christmas gifts for children with incarcerated parents. Another way we taught our girls about money was on family vacations. We provided meals for them, but we gave them a specific amount of money in an envelope for each day. The money was to cover the cost of snacks and souvenirs. This truly saved us money instead of paying for a snack, then another snack, then a souvenir, then another souvenir, etc. Sometimes they saved up several days to buy something they really wanted. We also discovered that there were happier to eat snacks we’d brought along instead of using “their money” to buy snacks. Most importantly, money management needs to be modeled by you. If you want your children to save and share with others, they need to see you doing likewise. If you want them spending money responsibly on vacation, let them watch you doing the same. With money matters, much is “caught.” Let your children catch you being a wise steward of the finances entrusted to you.